Looking for a fresh way to celebrate the happy moments in life? This lovely floral arrangement will do it for you with its full display of White Hydrangea, Jade Roses, Kale and seasonal mix of pink and purple flowers set in a square glass vase lined with a ti leaf. 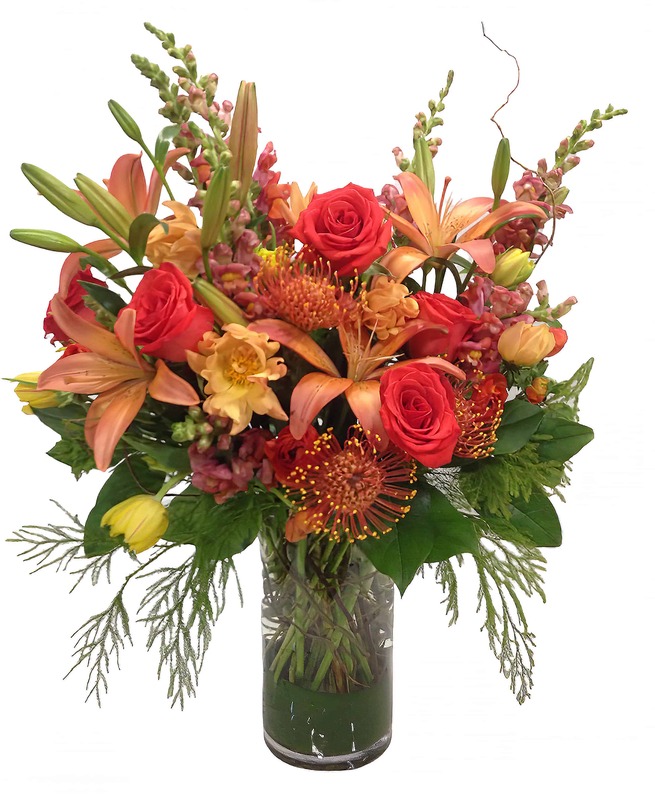 It makes a great desk companion and is sure to brighten anyone's day with its burst of color and freshness.